Only a week left in July…where has the time gone? I was in Minnesota for 3 weeks and had grand ideas of blogging weekly. However, the internet would not cooperate. I found plenty of time to read a few books and watch some movies. In the novel, a child is found abandoned on a ship heading for Australia during WWI. The story covers three generations and takes place not only in Australia, but also the Cornish Coast of England. The Book Of Negroes by Lawrence Hill. This is a historical novel that begins in the late 1700’s. It is the story of Aminato Diallo and her journey from a small village in Africa to her life as a slave. This movie takes you straight back to 1965. Every detail in film is stylized. Another great Wes Anderson film. Intouchables…based on a true story. This movie touches all emotions. Omar Sy is amazing and some of the music is by Earth Wind and Fire. What more could you want in a film? The story of Maruge, an eighty+ year old Mau Mau veteran who is desperate to learn how to read. Millionairess…. Sophie Loren and Peter Sellers. 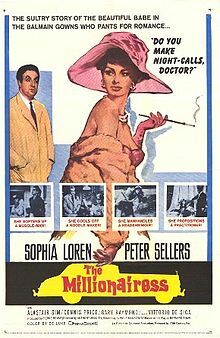 In this light and entertaining movie, the wardrobe of Sopie Loren is classically stunning. This will be added to my list of fashion movies. A new addition to my blogroll is Cookie + Kate. Heidi Larsen has created Foodie Crush an online magazine that celebrates food blogs. Look at the article “Summer in a Jar”. What a creative and easy summer idea! Hope everyone is enjoying your summer. What are your favorite books, movies, blogs or online magazines this summer? Loved everthing! I checked out the food blogs they’re great,read 2 of the books-loved them,and I cant wait to watch the movies.Thanks for the insight. Loved this blog!!! 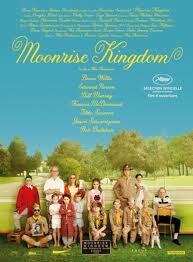 I saw Moonrise Kingdom and it was so well done…even down to the vintage Lilly’s. Les Intouchables was also another great summer movie with a great cast, super music and a feel good storyline…it was my son’s first foreign film. My summer reading is limited to Elle Decor but am going to pick up a couple books to round out the summer! Thanks for the post…chock full of great info.